Sports Fishing is a very big industry. Everyday in summer at Rushbrook Dock, City of Prince Rupert boats are chartered to go fishing by people from all over the world. The cost is between $1000 and $1500 per day per boat. 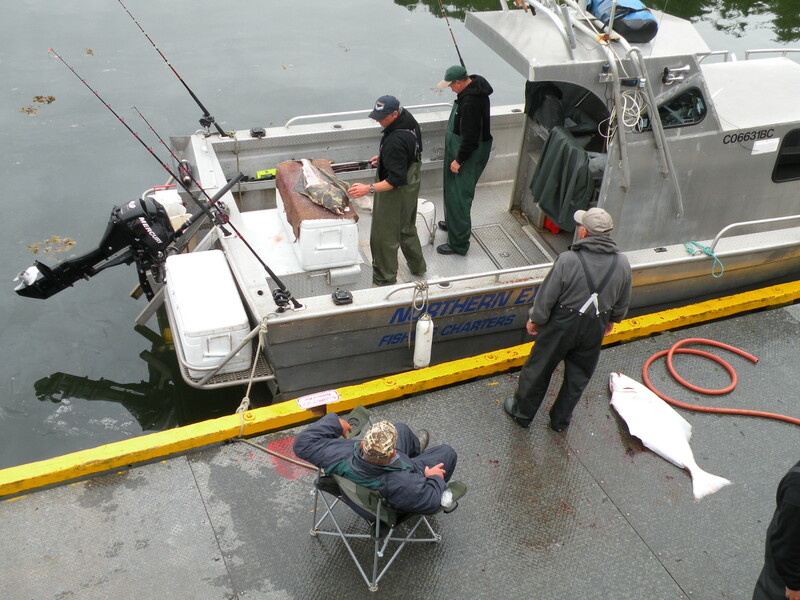 Most ship of Fishing Charters came back with a catch of salmon, rock fish, cod .. and the most prized catch here is Pacific Halibut and Spring salmon. 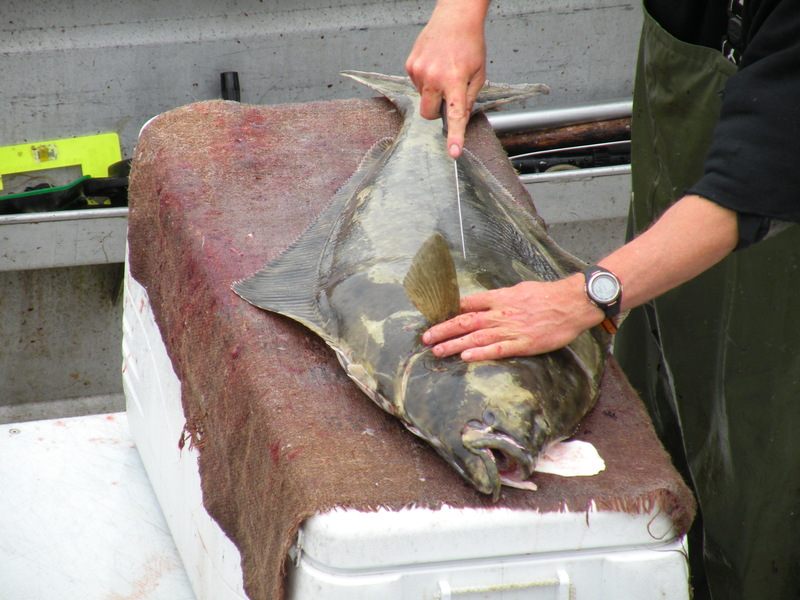 It is interesting to watch the man fillet the heavy halibut. Halibut is a very expensive dish to eat in restaurants or to buy in the super markets. Fish and chips here use Halibut and Cod fish. 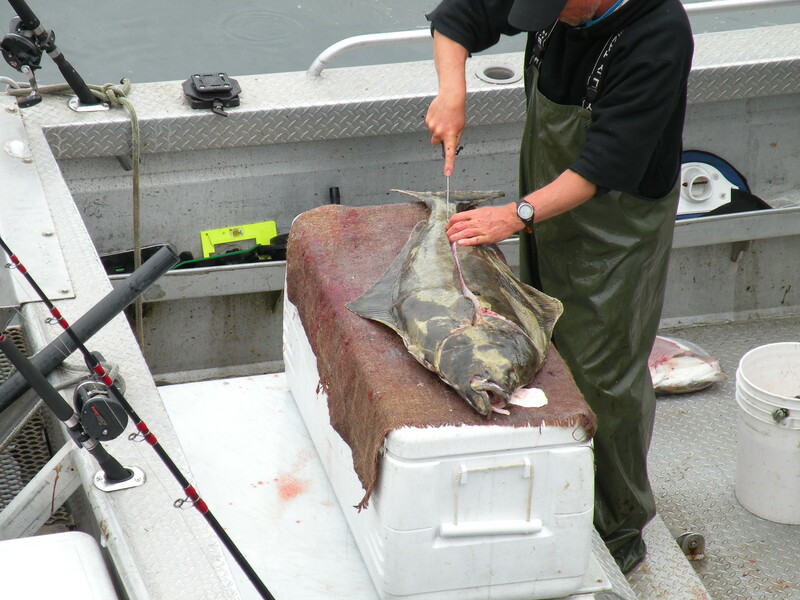 Halibut today is not as plentiful as a few years ago with a commercial boats and sports fisherman must work to a strict quota. Large 200-300 Kg Halibut can take 50 years to get to that size. Unfortunately in recent years fewer and fewer of the large fish are being caught. There is real concern now that over fishing is going to destroy the stocks for ever.